I never got around to posting a running recap for July, so I'll just squeeze July and August together. I've had two really great months of running. I love this time of year because I can wake up early and run before Paul leaves for work. Of course, now we're losing daylight, so I won't be able to do this much longer unless I want to opt for the treadmill. During the past two months I have backed off on the crosstraining, as I just wanted to use my time for running. I'll pick up more crosstraining when the days grow shorter. I tried going off the glucosamine (it makes my blood pressure rise slightly, so I don't like to stay on it for long) but my joint pain came back, so I am back on it for now. 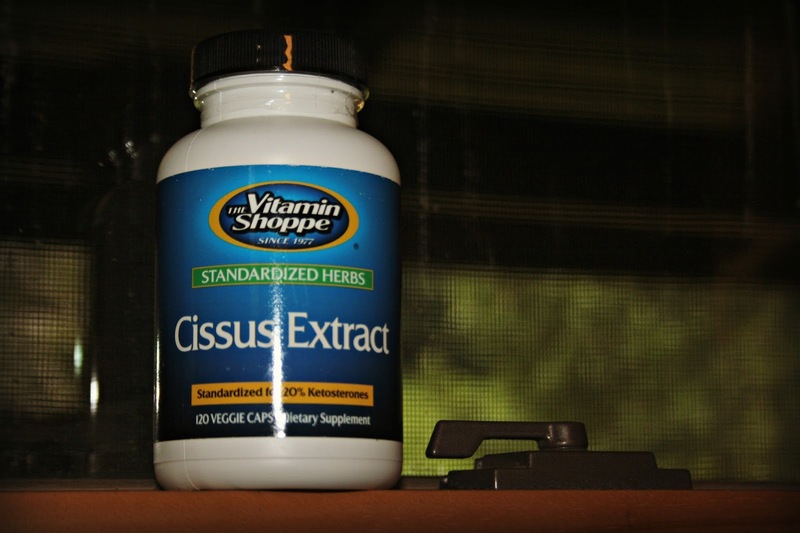 I also went to a health fair at the Vitamin Shoppe, and they recommended this stuff called Cissus, which was on sale. I am trying it, tentatively, but it seems to be giving me headaches. So it might not be the best option for me. I still don't have any races planned. It seems I am staying motivated just fine with my running, even without the races. This is interesting to me, as in over 10 years of running, I have never not raced. I even raced when I was pregnant! I miss it sometimes, but mostly, I feel fairly happy just to be running day in and day out. There is a definitely a temptation to jump into a marathon this fall (with my current fitness level, I'm only 4 long runs away from a taper! ), but it's probably not a great idea. Hopefully I will continue to stay injury-free. Readers, did you ever rely on something that you thought you needed....only to find out that you were just fine in the end without it? Maybe you could make a trail to run on near your house. I don't run but I made a walking trail, had to build two bridges but it was worth it as I use wheelbarrows to collect wood off of it. Lots of exercise possibilities around here it seems. I have determined that sweating is good, nobody talks about it but probably is a cleansing type of thing. I have learned I do not need a "toner" for my face--I used one for years, believing I needed to, but then when I ran out once, I never bought more and if anything, my skin looks better for it. Congrats on two great months of running! Great job, Lisa! You are inspiring me, though I have a long way to go. Glad you are enjoying running and I hope you stay injury free. Glad you're still running. I'm still riding, and we just ordered a recumbent tandem so we can ride together. I have been having some success using turmeric (curcumin) to help with some arthritic pain. Seems to help the hands more than the knee. But at least the knee is pain free while riding. I don't know if I told you or not but my Daughter is running again. Not like you are but it has been a long time since she ran. Headaches and gas are a couple of the side effects of the cissus. If you run in any big marathons, don't forget your body armor. I'm not too sure I'd be into crowd style events these days. Especially if we get mixed up in the Syrian mess. I began running long distance in my teens, but knee problems sidetracked me by my late 30s. I missed it horribly, but walking and occasional short runs (plus an active dog to take me out even in bad weather) has kept my knees happier. Injury-free is a great:) Long may it continue for you! Gosh, I really can't think of an answer to this question. I have always so much admired all your running with three little boys!!! I would think keeping up with them would be enough in the way of energy, so I know you must be really healthy!! You are doing SO well, Lisa. I'm proud of you! I'm sorry you're having the headaches though; sounds like it's not for you. Yes, I learned a while back that I didn't need to drink Coke as much as I was for years. I didn't drink coffee back then, so my breakfast was Coke. Actually, I guess you'd say it was an addiction. At one point though I did lose my taste for it; gave it up completely and you talk about headaches, girl I had them back. My sis-in-law said I was in withdrawals; and she was right. I now drink one cup of coffee, and one Coke. LOTS of water! Congrats on the running. Amazing.. Your running is very inspiring. I certainly wish I could run like that. Well, I will just have to stick with fast walking. I am glad to hear your summer running was successful. Woah! You do so much. YES!!! Plenty of times/things - i realized I could do without - in fact - I feel I was better off . . . Strained my knees and need to go to ortho next week. I feel I still need more summer fun. Nice to see Dawn completing her race. Good job with all the running. I have been walking more as we have to walk the sheep in order to exercise them. Hey it's something! I took fish oil because it's supposed to help reduce cholesterol. Then I heard on the news that it doesn't really help as much as eating some fish. I'm finishing my bottle out, and not looking back. I didn't know glucosamine can raise b.p. I've been taking it for years, but about 5 yrs. ago, developed high b.p. Interesting. I assume the gluc is helping my joints, but I've been on it so long, I don't really know!